In this Amazon exclusive, we brought together authors Ian Bremmer and Nouriel Roubini and asked them to interview each other. 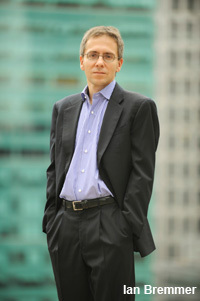 Ian Bremmer is the president of Eurasia Group, the world’s leading global political risk research and consulting firm. He has written for The Wall Street Journal, The Washington Post, Newsweek, Foreign Affairs, and other publications, and his books include The End of the Free Market, The J Curve, and The Fat Tail. Read on to see Ian Bremmer’s questions for Nouriel Roubini, or turn the tables to see what Roubini asked Bremmer.